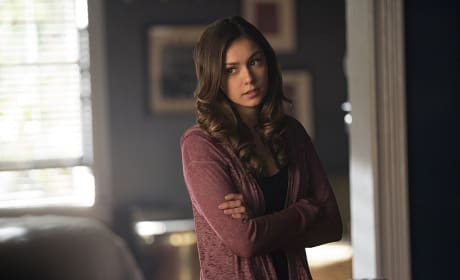 Awww, Elena looks so darn cute, doesn't she? 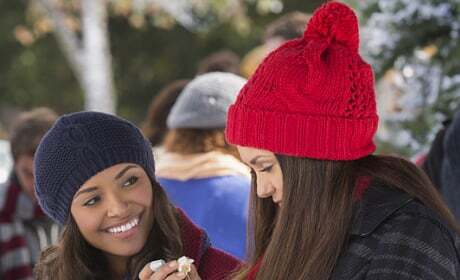 She's all smiles in this look back at Christmas in Mystic Falls. 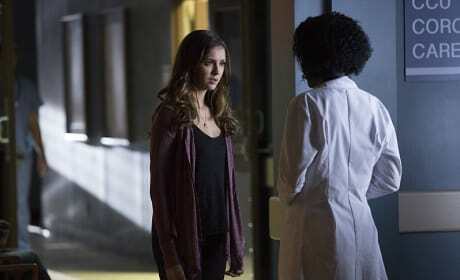 Look out behind you, Elena! Bonnie is totally about to throw this snowball at her friend. 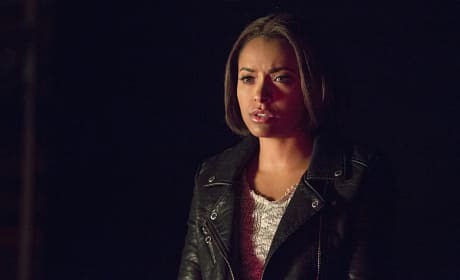 Bonnie thinks back to happier times on The Vampire Diaries episode "Christmas Through Your Eyes." Like that time she made a snowball. Poor Jeremy. He isn't exactly surrounded by family members on Christmas, is he? 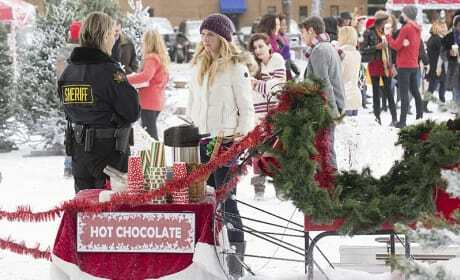 Mmmmm... hot chocolate. 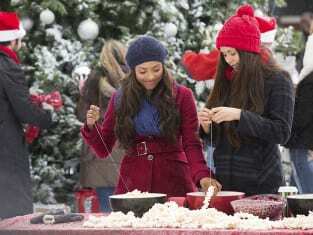 Caroline and her mother are serving some yummy stuff for the holidays on The Vampire Diaries. 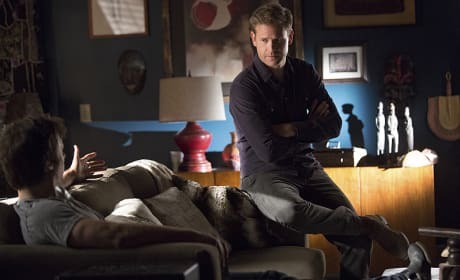 Poor Bonnie. She's stuck spending Christmas on her own, due to that stuck-in-1994 thing. 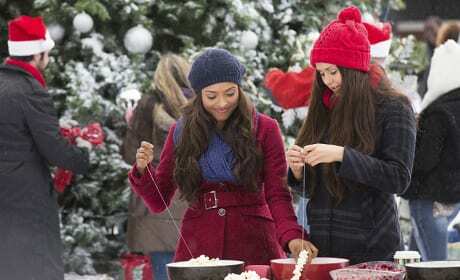 Bonnie and Elena celebrate Christmas in this look back at the old days in Mystic Falls. Bonnie is back with her friends. 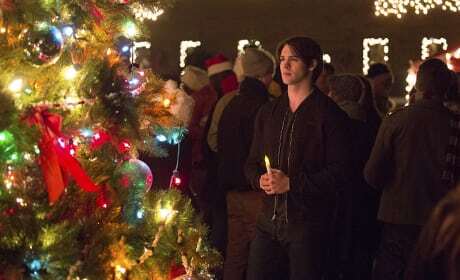 Sadly, this Vampire Diaries scene isn't happening in real time on "Christmas Through Your Eyes."